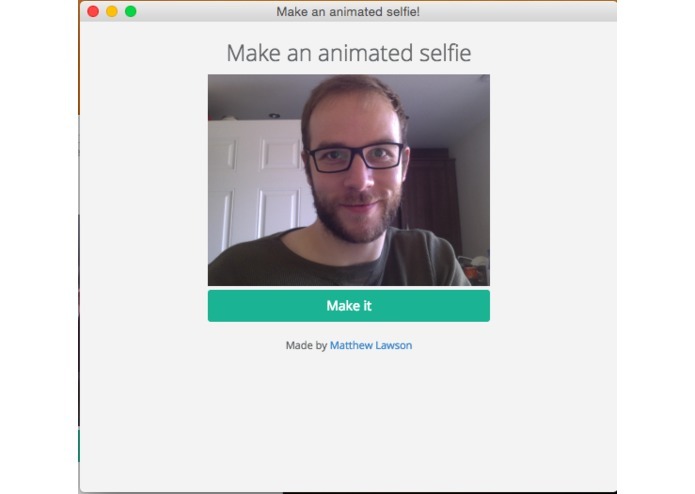 Make an animated gif with your webcam, save as a gif to share with friends. Selfies are classically a snapshot of a particular moment, so I wanted to extend that moment. Originally I planned to make a timelapse of my entire day into an animated gif capturing a snapshot from the webcam every 30 minutes or so during my work day. I decided that was a little niche so I reduced the capture time down to a few seconds to add just a little extra to the moment of capturing a selfie. 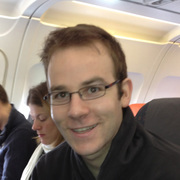 The project is a node webkit packaged app for OS X. 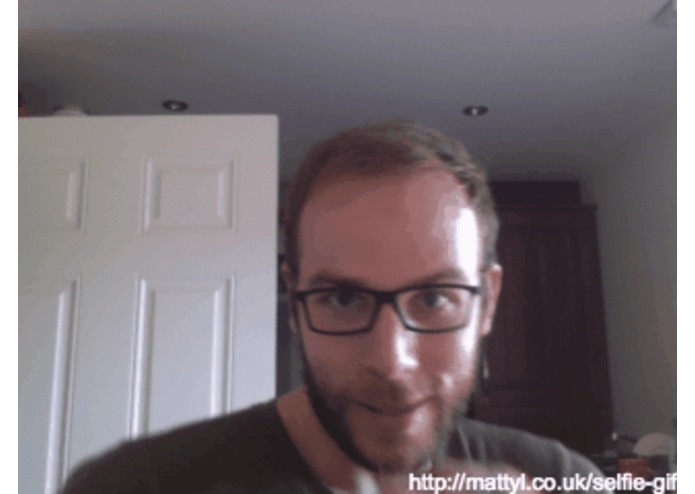 It opens the users webcam when the app is opened, then when the large "Make it" button is pressed 5 frames are captured from the webcam and converted into the gif image format. Then a save button appears and the user can save the gif to their filesystem for sharing on social networks. 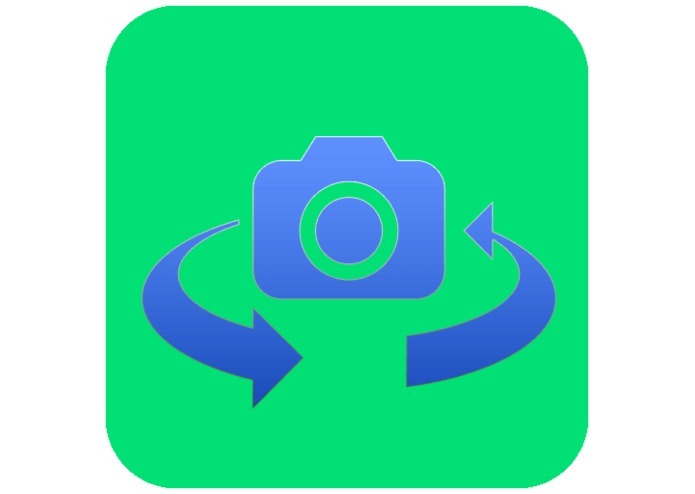 Settings to control how many frames to capture and at what speed - this will allow the quick selfie to be expanded into a timelapse if the user wishes. 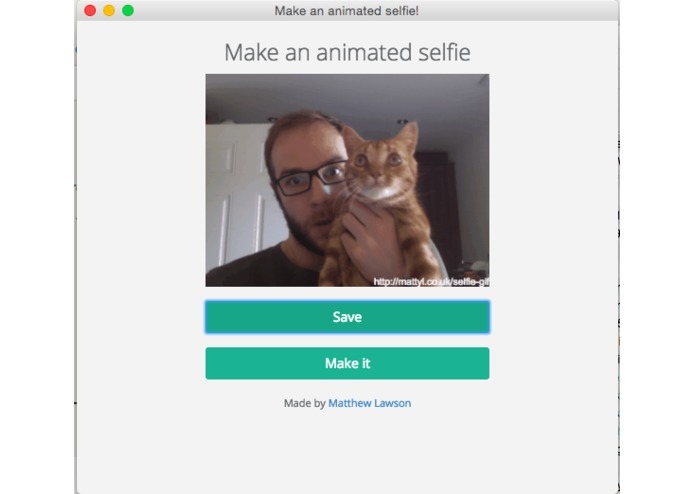 Filters - Add Instagram style filters & shapes to the animated selfies to make a more interesting creation.